Although the elder Church had been prominent in business, Robert Jr. would succeed in politics, surmising that the ballot would be the launch pad that African-Americans would need to rocket to power in the United States. Robert Jr. was born in Memphis in 1885 and educated at the Hooks Cottage School, a private school founded by Julia Britton Hooks, the grandmother of the former national director of the NAACP, Benjamin L. Hooks, who died April 15, 2010. Robert Jr. went on to Oberlin College in Ohio and then to the Packard School of Business in New York, where he completed his business training on Wall Street. When his father’s health started failing in 1911, he returned to Memphis to assume the presidency of the Solvent Savings Bank and Trust Company, but soon realized that politics was more rewarding. His foray into politics started in 1916 at age 31 after he founded the Lincoln League to increase the number of voting African-Americans. That year, he was credited with registering 10,000 additional Memphis voters. The local Lincoln League was so successful it drew the attention of a group of African-American leaders who met in New Orleans in 1919 to found the national Lincoln League of America. Robert Jr. was recruited as president, but declined the offer, choosing instead to serve as chairman of the Executive Committee. 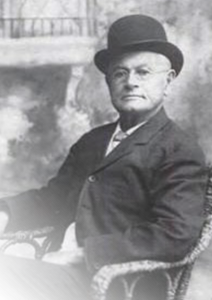 Robert Jr. was also a founder of the Memphis Branch NAACP and its first chairman in 1917. He served on the national board as the first director elected from 14 southern states. A staunch Republican, the savvy political stalwart served as a delegate to eight Republican National Conventions, from 1912-1940.